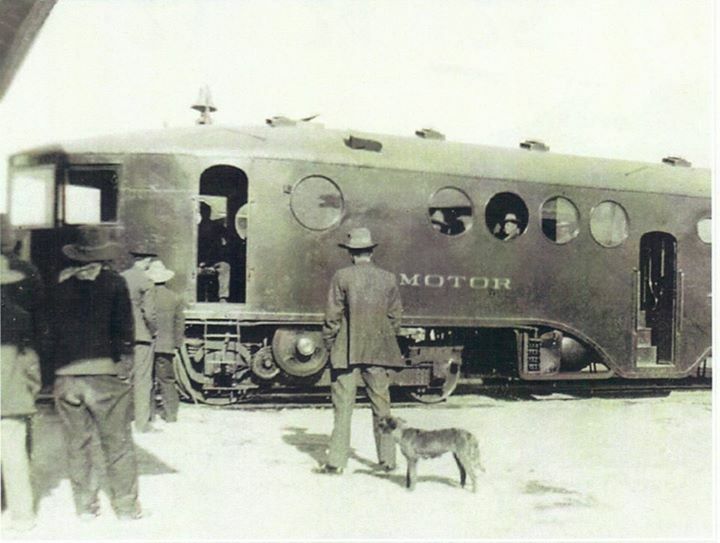 Maricopa and Phoenix Railroad | The McKeen Motor Car Website Maricopa and Phoenix Railroad | The Compendium of Knowledge on the McKeen Motor Car Company, and their experiments. 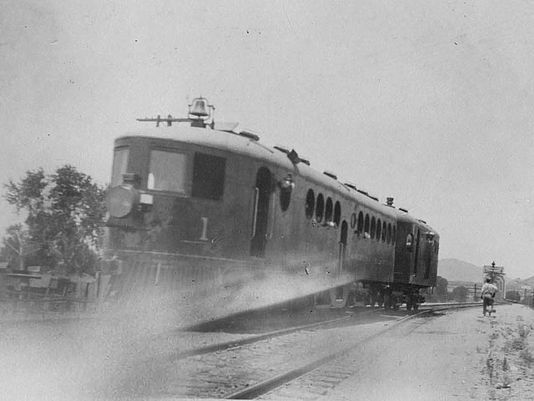 The Maricopa and Phoenix Railroad bought two McKeen Motor Car, numbered #1, and #2. Both were 55’6″, both held 72 passengers, with no baggage area, both weighed 30 tons, and both were built in August, 1908. Both were later sold to the Arizona Eastern railroad, and they both stayed as motor car #1, and #2. 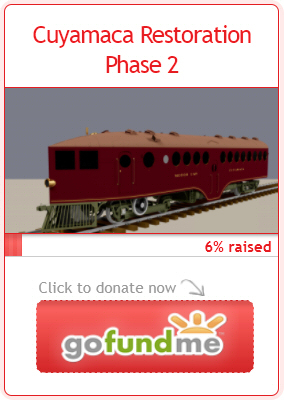 After that, both cars were sold to the Southern Pacific Railway #1 became #69, and #2 became #70. Motor car #69 was scrapped in July, 1934, while motor car #70 was scrapped later on in June, 1935. Here is a photo of one of those two cars, the location, and source of the photo are unknown. Here’s a clipping from the Arizona Republic Newspaper, from August 18, 1909. 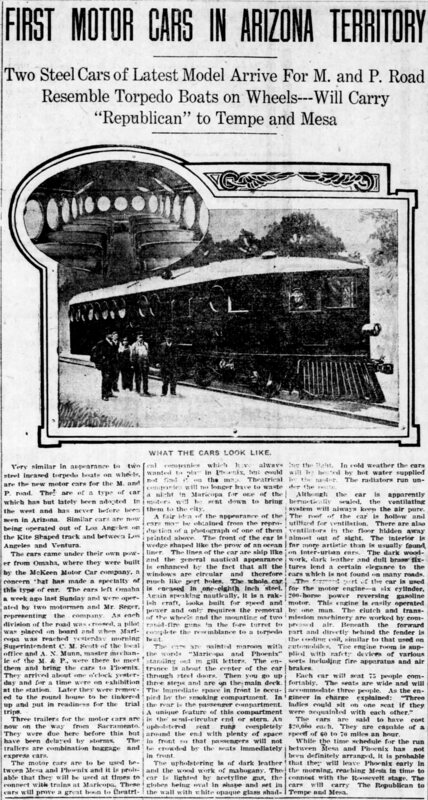 Note: Notice the Baggage doors, with a baggage section on a 55′ Motor Car, the Reported 75 passenger capacity, thus this photo of the exterior is of a different car. Considering “A-1” is visible on the photo, it would appear this car is in fact that Northern Pacific Railroad A-1. The interior photograph is likely a common factory photograph of an Oregon Shortline McKeen Car. Here’s a clipping from the El Paso Herald, August 14, 1909, Page 9.